Let’s put it bluntly: under the current FCC leadership of Ajit Pai, the free internet as we know it has its head on the chopping block, and Pai is the executioner. I know this sounds grim and hyperbolic, but the situation truly can be considered that severe. 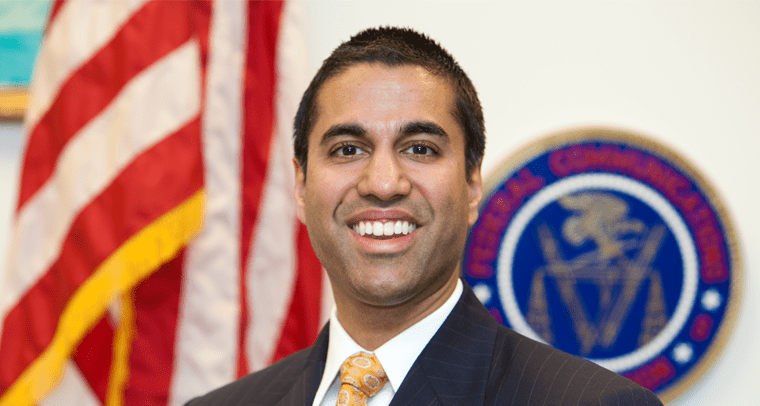 For those unaware, or not fully in the know — Pai, a former Verizon lawyer and long known opponent of Net Neutrality (or at least the existing regulations), is now the Chairman of the FCC. Just recently, the FCC has begun working towards dismantling our existing Net Neutrality protections, known as Title II. We’ll go a bit more in depth below, but to keep it short and sweet: if the FCC scales back regulation, everyone will be at the mercy of the Internet Service Providers. They will have free reign to throttle and slower data, up-charge for access to certain providers or websites, or simply force consumers into non-competitive, overly expensive, data capped internet plans. And this is really just scratching the surface. We don’t know exactly what will come from removing Chapter II, but we know that scaling back the existing regulations could easily crush the freedom the internet, and its users, currently experience. It may not seem like it, but this could directly impact any size business, although particularly the SMB market, as well as have a huge impact on the UC and VoIP industry overall. Starting at the very beginning, I always like to form a core understanding of the issue at hand. We hear the term “Net Neutrality” thrown around constantly, but I’m sure not everyone is completely aware of what this encompasses. So, for a very basic definition, Net Neutrality is the idea that all internet traffic must be treated equally. This means that Internet Service Providers (ISPs) should not throttle connections, slow down internet speeds, or prevent users from accessing legal content. No matter the source of the content, the ISP must provide the same consistent speed for all user activities. Pretty simple, right? So far, this is how the internet has always operated — no matter what website you use, streaming service, email provider, or whatever, every single website you access will always have the same, full internet speed you paid for. That is, at least, in theory. The idea is that the internet is an exercise in human communication, one not governed by a single legal body and available to all. 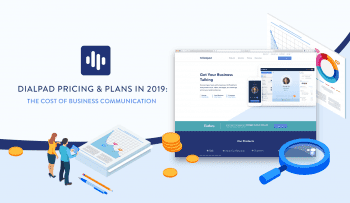 This allows the easy and free spread of information, communications, and collaboration — hint hint, all important aspects of how a modern business will operate. So Why Do We Need Net Neutrality? If you’re not getting the full picture just yet, let me paint it in a little further detail. Right now, and always, the internet is essentially a Wild West. Anyone can go online and access information, or start their own webpage, or service provider, or blog, or Youtube content. The internet is an even playing field, because no matter the size of your company, random users form around the world can access your website, services, information or content without any interruption from the ISP. Of course, as we all know, service can be spotty or internet connections slow. But this is due to the nature of our connectivity, for example wireless networks are never as stable as wired connections. But, if we were to remove net neutrality, then the playing field would no longer be even. 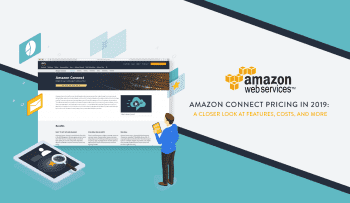 A large cooperation, let’s say Amazon (nothing against Amazon at all, they’re just a big name everyone knows for the example), will have a much stronger pull over the ISP than say a random Silicon Valley start up. Since Amazon is so massive, they would be able to enter an agreement, partnership, contract, whatever you want to call it, with an ISP. This agreement would allow users to access Amazon at their regular paid-for speeds. However, that small start up from SV — they do not have the same pull or fiscal force that Amazon does and therefore cannot arrange a similar deal. Now, all users trying to access the startup’s web page may have very slow connections, or an inability to access the page at all. So that’s the basic concept, and generally shared fear. Remove the current existing regulations, and we now have a free market that will allow ISPs to do whatever they please. And, as we have already seen, they generally are not on the side of the consumer. I mean, Comcast is routinely voted the worst company in the entire country. Now you might say, “So what? I just won’t use Comcast.” Well, for many Americans, Comcast is the only option. An entire solution has been launched to help consumers fight unfair billing from Comcast. And this is when they were already being regulated to at least some degree! To put it bluntly: Net Neutrality as a whole is necessary for the internet to operate as it always has: an open and accessible flow of information. But this doesn’t tell the whole story, so let’s dig a bit deeper. But What’s This “Title II” Thing? I’ve reused the phrase a few times already, and want to help those understand a bit further just what this all means. Well, back in the Communications Act of 1934, the FCC put in place the different “Title” definitions to help organize, and regulate interstate and foreign communications. Since this was ’34, the main goal of regulation was radio or wire, but also included “for other purposes.” This now means the internet. Now, there is far more outlined in the entire section of the act beyond just this definition. But, this essentially states that if a provider of a service is labeled as a Title II Common Carrier, they are legally barred from any unjust or unreasonable discrimination in their service. This brings us directly back to my previous examples, say an ISP throttling access to specific websites just because they didn’t pay enough, or aren’t as large as Amazon. Or, specifically throttling the TYPE of connection, despite its legality — my Video Conferencing example. Well, in 2015 the FCC heard many cries, and did in fact reclassify ISPs as Title II Common Carriers. This put in the current consumer protections that Pai and his FCC are now effectively dismantling. Of course, the rhetoric is a positive one. The idea being touted is that this classification brought down an iron gate in front of providers, preventing them from offering the services consumers truly want and need, and that the regulation is far too heavy handed. But despite this, Pai seems convinced that the answer to saving these “failing company’s pouring money into useless investments,” we need to allow them the freedom to discriminate services based on any factor they see fit. Just last week, Pai began his approach to dismantling the previous FCC ruling, and the regulations put in place. What will follow — now that’s the uncertain part. But based on everything we already took a look at, I think it’s safe to say that it will not be a pro-consumer move. We’re hearing shady quotes from Pai himself, like that this change will “restore internet freedom for all Americans,” but quite frankly, this is just nice sounding rhetoric. The internet currently is free, and don’t just take my word for it. The level playing field that the internet has provided since its very inception is what has allowed numerous businesses to reach the position they are at today. Facebook never would have taken off if MySpace was lobbying an ISP to throttle traffic to their competitor. What About VoIP and UC? I’ve been mostly broad so far, but that’s simply because the loss of Net Neutrality will impact everyone in every industry, not just one specific subset. It’s a very broad issue that needs to be considered by everyone because almost all of us use — and flat out rely upon — the internet for our daily lives. But I do want to bring this back to our main focus: The VoIP and UC industry. 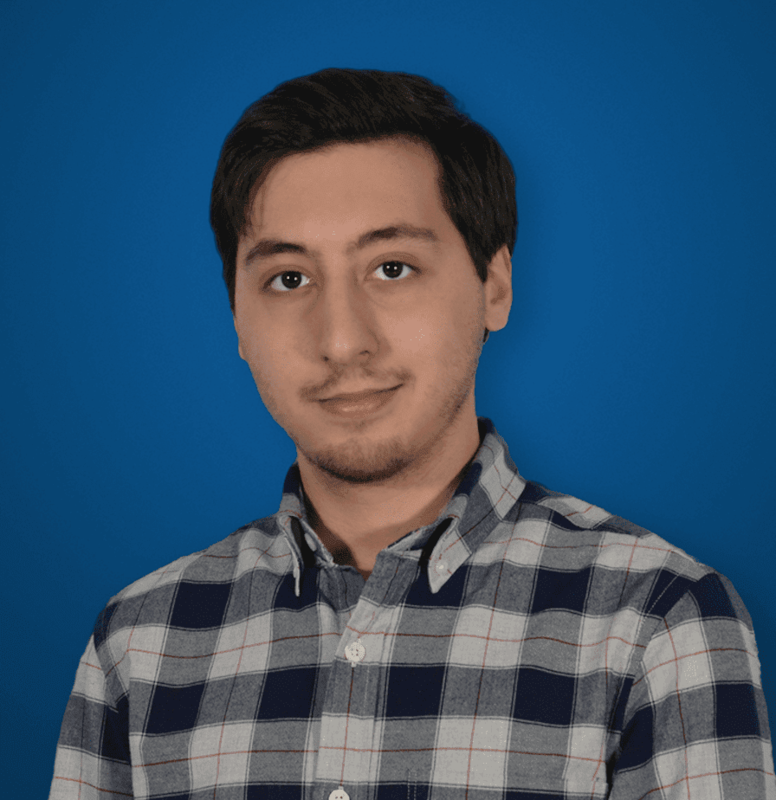 I recently took a look at how the FCC regulates VoIP companies and while they do not necessarily rule with an iron fist, the fallout everyone will endure from the loss of Net Neutrality could be very drastic. Well, the main fear is that without the current Title II restrictions, ISPs will have the freedom to charge how they want, for whatever they want. This means a provider can guarantee a higher speed, and lag free connection, for higher cost. Like I said with the Video Conferencing solution — if your business wants to be able to video chat, then you need to buy a specific plan for this. But more than just forcing the consumer into packages, ISPs could charge VoIP and UC Providers more money to keep their traffic interruption free. This might not be an issue for the biggest names in the industry, but when you are a start up or local provider, this could mean disaster for your business. But even with the largest providers, they will simply have to pass their cost on to the end-user, raising the price of UC services. 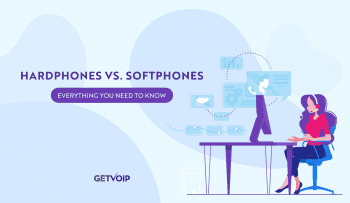 In fact, some of the popular Business VoIP providers will simply piggy-back off existing ISPs to deliver their data, meanwhile AT&T, Comcast, Time Warner and Verizon are both Internet Service Providers and VoIP providers. So they could simply throttle Nextiva and Jive’s traffic, while favoring their own. At the end of the day Net Neutrality means better service and lower costs for the end user, which means happier, and hopefully more, clients for the providers. Now, my speculations could very well be wrong. Pai did say the FCC wants to put in place a light-touch regulation, and simply dislikes the heavy-handed approach from 2015. Now, the approach wasn’t very heavy-handed to begin with, but as a regulating hating Republican it might seem that way. So for argument’s sake, I’ll maybe concede on that. Its very possible that Pai has a plan to introduce new regulations that will still protect consumers, but not impede on ISP investing. Now, Title II classification mostly did that, as we saw, but clearly the ISPs aren’t happy. Its also very possible that the FTC, the Federal Trade Commission, will be called into regulate ISPs — some are saying this fits more in line with the agencies’ responsibilities. Should the ISPs be the ones influencing the laws, and regulation? I don’t think so — but this isn’t a political blog, and we’re all entitled to our own thoughts. But when the internet is classified as a basic human right, it begins to make sense why regulation is necessary. At this point, you can’t run a business or even find employment without access to the internet. While the future does look grim, all hope isn’t lost just yet. Thankfully, as I discovered in my recent post surrounding FCC and VoIP regulation, the FCC makes it fairly simple to have your voice heard. Now, whether or not that will have an impact is hard to tell. However, it can be quite difficult to ignore if a large enough group speaks up. In fact, this is what happened in 2015 when the FCC ruled ISPs as Title II. Following millions of comments from 2014, the FCC went to adopt the Open Internet Order. And after the FCC ruled ISPs as Title II they also opened up a complaint section specifically for Net Neutrality violations. So it seems like the current FCC is going to make this really, really difficult for us. But that doesn’t mean we should give up. As I said, it can be difficult to ignore a massive influx of opinion, and it absolutely is a start. Contact the FCC and let them know we need a free and open internet, as it always has been. Explain you wish to file comments concerning the FCC Chairman’s plan to end net neutrality.